Looking back, I’m happy with how my year has started. In fact, I’m feeling the most positive (wait, this is possible?!) and happiest I have ever been in the last few months. Very thankful for the love, patience, and kindness everyone has shown me. And the amazing opportunities I’ve been blessed with! Lots of celebrations and meet ups resulting in lots of amazing meals. Of course, I had to blog about it. Two fun work trips that involved exciting VR/360 related things. Eek – can’t wait to share! 👫 I’m surrounded by great people. Got to connect and get to know a lot more like-minded people. Making some amazing relationships. ✏ I blogged every week in January – woo!! 💪My workouts have been consistent despite some mornings where I had little to no motivation. Mindset is EVERYTHING. ✍Successfully completed my 5-minute journal every single day this month. Thank you, Matt, for the inspiration. You da best. Keep up with the routines! Not let things that are no longer relevant get to me. Keep telling people how much I really appreciate them. As I’ve said, I’m the happiest I have been in such a long time and although it may just be because of the enhanced awareness of expressing gratitude but whatever it is, I want it to stay and I honestly think it stems from the awesome people around me. I’m so glad to read that you are in such positive spirits ❤️ It sounds like you had an absolutely killer month and were quite the social butterfly! As well as being really busy like most humans are. Can’t wait to hear about your adventures abroad ?? Wow, sounds like an amazing month! I hope you can keep in such high spirits! Yay, that’s awesome that you’re feeling so happy and positive! Sounds like you’ve had a lot of good experiences lately 🙂 I can’t wait to hear about your work trips, and that’s exciting that you’re traveling abroad soon. I want to have more Asian adventures! I’m not traveling abroad this year, but I’m hoping my next big trip is Hong Kong and Taiwan. Good job on blogging every week and keeping consistent with your work out too! Sounds like you have great things coming up in February! Reading your positive post makes me feel so happy. I can feel your positive vibes all the way here haha. I’m excited to hear about your VR/360 experiences, they sound really fun! Well done for keeping up with your workout routines 🙂 Lol Gymshark is everywhere on Instagram, isn’t it? I’ve yet to buy something from them myself. 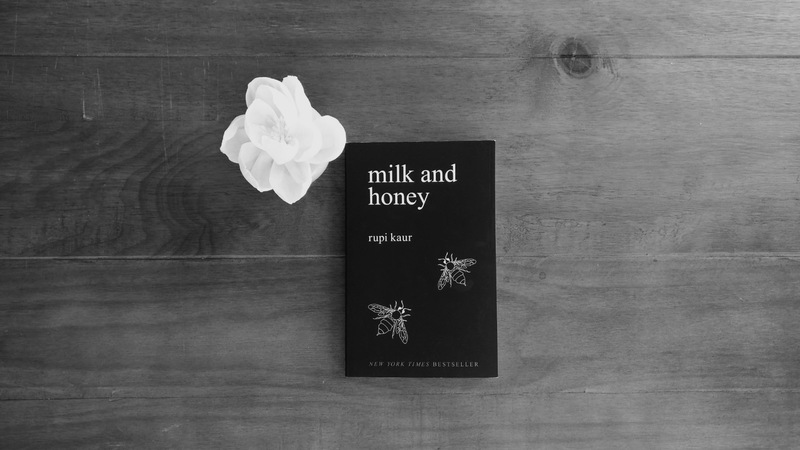 Also milk and honey is a book that I’ve been wanting to read for a long time, I really need to get my hands on a copy, ahh. I’ve been itching to travel abroad for the longest time, traveling to places that isn’t the Philippines LOL. It’s not fair that my dad and brother have already been to both Japan and Korea years ago. I want to travel over there, as well as other Asian countries like Taiwan, Vietnam (mainly because of the food LOL), and Thailand. Of course, I’d like to travel to other places like Europe also. Glad to hear that you’ve been happier this year! Glad to see you doing lots of great things and surrounding yourself with great people :). I’m looking forward to reading about your travel adventures! Look at you bossing at the gym ;). Good luck with your goals for February! I’m sure you’ll nail them all as the usual ;). Man, all of these workout gear makes mine look weak XD. it’s been a crazy month for me too! so many emotional ups and downs, especially due to health concerns. I will definitely have to read that poetry book! I’ve always been a sucker for poetry and I love how the writer can speak to your soul in around 12 lines or less. The song is great too! I took the liberty of adding it to my own Spotify playlist. But I am so happy that January was good and that 2017 is off to a great start for you! Reading this post really made me smile after a long day of school. That’s so great that you’ve had such a positive month! That’s so exciting that you’ve made great relationships with other people and that there are so many happy things to be thankful for. Also cool that you’re learning Chinese. I’ve always wanted to learn because I feel like it would be a really useful language to know. Are you self-teaching yourself? I’m excited to hear more about your trips and also about your VR/360 experience! Glad to hear you’re feeling happier! From reading your posts, I can tell you’ve had a great month. Especially jealous of all the nice food you’ve been eating! Going out with friends and family always makes me feel happier and more grateful. I’ve had some lovely days/nights out this month, and it’s really made me appreciate all the great people in my life. I need to start telling people this too. It’s great that you’re starting to learn Chinese. I’ve tried to learn a few languages before, but I never manage to get past the basics, because I either get too busy or too lazy. I’d love to learn a language eventually though! I’ve heard Milk and Honey’s supposed to be really good, so I’ll definitely have to buy a copy. I haven’t read a poetry collection in a while, even though I love poetry, which is sad really. Working full-time makes it hard to find time for everything. Oh your positive upbeat vibe is so lovely, it’s contagious! You are definitely killing it this month. I can’t say that I’ve blogged every week, or worked out consistently, or do a daily gratitude in January. These things are not easy to keep up, so good work! I can’t wait to hear about your upcoming adventures! And I really need to see La La Land! I’m surprised I haven’t seen it yet considering how it’s Ryan Gosling..and the numerous awards it won. 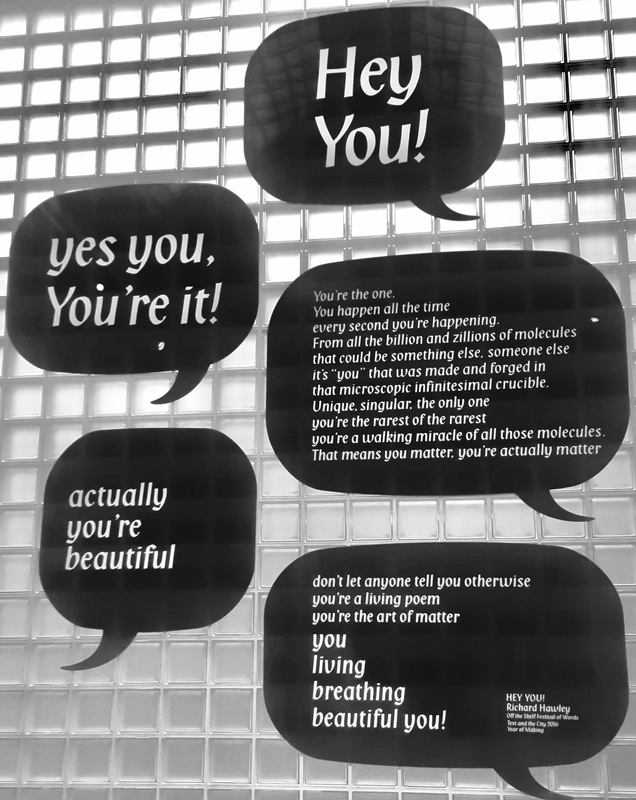 I’m loving how positive this post is! As I think I’ve mentioned before, seeing your Instagram snaps of you at the gym really motivate me. I finally went swimming this week for the first time in years, and I’m even considering getting a membership. I love how good I feel both mentally and physically after a work out. I’m sure I downloaded the app for the 5-minute journal a few years ago but didn’t get into because I’m not a very digital. Surprising considering I spend my entire day attached to a computer of some sort, haha! Perhaps I should buy the paper version. I have the One Line A Day journal and I love that. I am so happy for you with January being good so far! You’ve experienced a lot of great things with your friends, projects, and work! It’s good you’ve been consistent with your goals. Looks like this is gonna be your year with all the travel opportunities! I hope your Asian adventure happens! If you come to Seoul, I’ll definitely make time to meet you <3 And feel free to ask me for anything Seoul-related! I hope your February is just as good as your January! Keep up with that positive attitude, Pauline! Keep it up with everything! Your happiness and positivity Pauline radiates to everyone around you. I can tell that you are happy because it shows in everything that you do and say! One of the best mindsets to be in is just to be grateful and thankful for everything you’ve been given. It makes everything you do much more meaningful. Ooooh all of your planned trips sound exciting! I can’t wait to read about your European vacation! You will have such an amazing time! I am so glad that your month was amazing! Also, where does time go? Can’t believe it’s been 6 months, either. Are you learning Mandarin or Cantonese? I remember learning Mandarin when I was in China studying and omg, it’s really hard because it is such a tonal language. So, depending on how you say one word it can mean four different things. Crazy! I’m so excited to hear about your travel plans! You’ll have to tell me all about Venice, btw, for when I go in July! We’re always going to the same places, haha! First Barcelona, now Venice. I KNOW IT’S FEBRUARY BUT I WANTED TO SCROLL BACK AND SEE WHAT’S NEW IN YOUR LIFE – IT SOUNDS LIKE YOU ARE HAVING AN AMAZING TIME AT YOUR JOB! I HOPE TO ONE DAY WORK AT A PLACE WITH LIKE-MINDED PEOPLE AS WELL, BECAUSE IF I’M SPENDING 8 HOURS A DAY WITH THEM I WANT IT TO BE FILLING. I JUST REMEMBERED YOU LIVE IN EUROPE WHICH IS HOW YOU CAN HAVE GETAWAYS TO EUROPE 😛 I FEEL LIKE LIVING IN THE USA THERE ISN’T A LOT OF PLACES FOR ME TO GET AWAY TO IF I NEED A BREAK FROM WORK, ETC. I CAN’T BE FLYING 10+ HOURS EVERYWHERE! THAT POETRY BOOK SOUNDS REALLY INTERESTING TO READ! I WILL CHECK IT OUT.